Here's another great reason to be proud being a South Cotabateño. 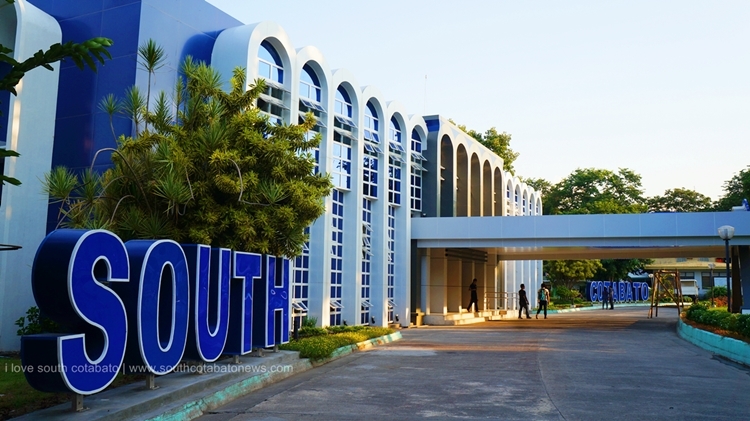 Out of 81 provinces in the Philippines, the Province of South Cotabato was recognized as the third overall Most Competitive Province during the 4th Competitiveness Summit held on July 14, 2016 at the Philippine International Convention Center in Manila. South Cotabato which will celebrate its 50th Founding Anniversary on July 18 moved one notch in this year's ranking from being Rank 4 in 2015. 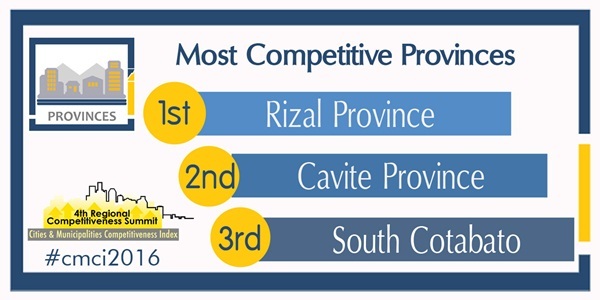 Rizal Province was named Most Competitive Province this year, while the province of Cavite bagged the second place. Also in this year's top 10 rankings of Most Competitive Provinces in the Philippines are neighboring provinces of Cotabato and Sultan Kudarat which placed 5th and 6th respectively.